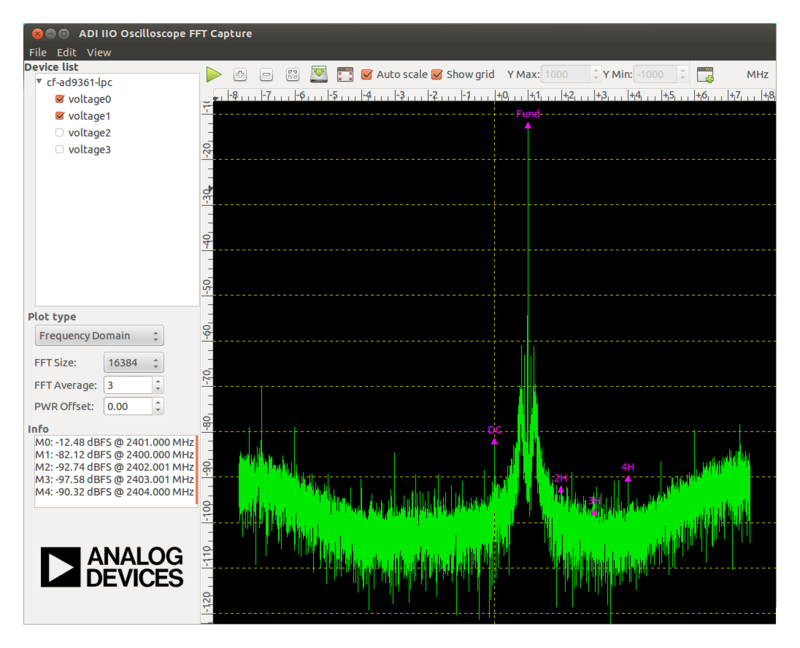 I am looking for a Win software to use my Adalm Pluto as a scanner or spectrum analyzer. Unfortunately I haven't found it yet, I don't have GNU Radio or Matlap for Windows. Does anyone know a software for this and can help here. I'm already thanking you for the info. It runs under Windows as well as Linux. Thank you for the quick answer to my question. Yes the IIO Oscilloscope for Windows - v0.6 is known to me. What I am looking for is a scan program like " rtl-spectrum". but programs that run under Win7. Unfortunately I haven't found a program for this yet, for Pluto SDR not many applications have been made public yet. David I wish you a Merry Christmas and a Happy New Year. Ah, OK. I have used a version (v1.4.2?) of that program under Windows but with the HackRF software. 73 to both, and Happy Holidays! danke für die Info und einen schönen Feiertag wünsche ich dir. Leider ist in GNU Radio für Windows kein Pluto Source/ Sink vorhanden, oder hab ich da was Übersehen. I use the windows version of sdrangel. Thanks Stefan for the info, but I'm looking for a "spectrum analyzer". I wish you a healthy and successful New Year. i am not a programmer ... but maybe the nwt software (for nwt500 nwt4000 nwt6000) can be changed to use the pluto as frontend?! ?